Mr. Hickey is the Executive Vice President and Real Estate Finance Group Executive of Atlantic Capital Bank. Mr. Hickey brings over 30 years of relevant commercial real estate experience to Atlantic Capital in the Commercial Real Estate industry. His background includes Commercial Real Estate Lending, Real Estate Development, Real Estate Risk Management, Client Management/Investor Relations responsibilities, and Real Estate Investment Banking research. Before joining the Bank, Mr. Hickey served as Vice President at Cousins Properties Incorporated, a public Real Estate Investment Trust (REIT) that actively develops Commercial Real Estate. Prior to joining Cousins, Mr. Hickey was a sell-side Research Analyst at The Robinson-Humphrey Company, where for over two years he wrote and published sell-side research coverage on publicly traded REITs and real estate companies. Prior to joining Robinson-Humphrey, Mr. Hickey worked for Wachovia Bank or its predecessors for 15 years. There he held positions as a Commercial Real Estate Lender, Commercial Real Estate Risk Officer, Corporate Risk Officer, and as the Manager of the Large Corporate Commercial Real Estate Lending Group, which provided large syndicated loans and commercial banking services to Real Estate Investment Trusts. 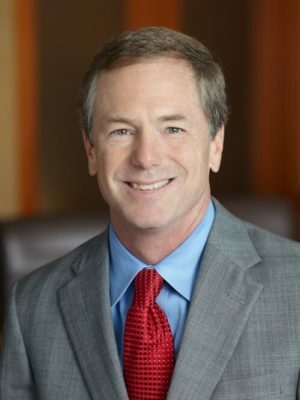 Mr. Hickey earned a BA in Finance from the University of Georgia and received an MBA with a concentration in Finance and Real Estate from the University of Georgia. He is a native of Atlanta.